NARCOLEPSY: NOT ALONE™ is Project Sleep’s international campaign to raise awareness about narcolepsy. With over 1,100 photos from all 50 U.S. states and 42 countries around the world, we are proving that narcolepsy is real and that we are NOT ALONE. On July 24, 2013, Project Sleep founder, and narcolepsy spokesperson and author, Julie Flygare took the first NARCOLEPSY: NOT ALONE™ photo. While narcolepsy is a serious neurological disorder affecting 3 million people worldwide, it is often considered a joke causing people living with narcolepsy to feel lost and alone. Flygare invited people with narcolepsy and their supporters to stand proud and tall by submitting photos. In one year, the campaign has collected over 1,100 photos from all 50 U.S. States and 42 countries around the world. Likewise, over 600 NARCOLEPSY: NOT ALONE™ t-shirts have been sold. Media coverage includes NBC News Channel 3 WRCB in Tennessee, NBC News Channel 2 KTUU in Alaska, and The Worcester News in the UK. 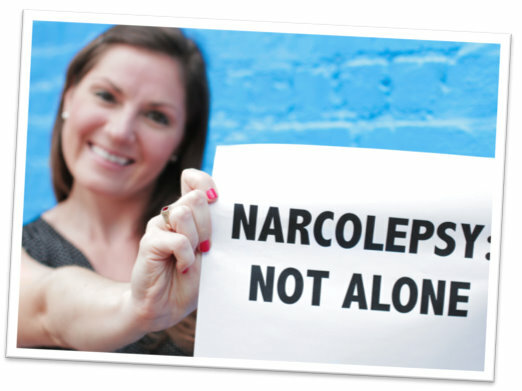 Anyone who supports narcolepsy – people with narcolepsy, friends, family, sleep doctors and pets!